All it takes is an accident, serious illness, or medical malpractice, and the resulting injuries can make it impossible for you to perform the job where you have been earning a living. Suddenly, you can’t work and you are forced to transition from an active lifestyle to one that involves doctor’s visits and difficulty paying your bills. That’s where Social Security Disability (SSD) benefits can help. Social Security Disability (SSD) pays monetary benefits to you and certain members of your family if you have worked long enough and paid Social Security taxes. Supplemental Security Income (SSI) pays monetary benefits based on financial need. If you qualify for SSD, you may also qualify for Medicaid or for Medicare, relieving you of medical bill issues that commonly go with a physical disability. How do you qualify for SSD? You need to prove that you can’t work because of the disability. You need to demonstrate that the disability is physical or psychological. Social Security will look to see if your disability is on their list of impairments. If you can prove (our law firm can help) that you’re on the pre-approved list of impairments, then you should qualify for benefits. If you’re not on the list of impairments Social Security will look at your work history, the type of work you do and might be able to do, your medical history and your age to determine your eligibility. You need to establish that the disability has prevented or will prevent you from working for 12 months. You must be under the age of 65. If you’re over 65, then you should apply for standard retirement Social Security benefits. You must have worked a set number of years in the recent past and over your lifetime. The number of years you need to have worked varies depending on your age. The Social Security Administration will have records of how long you’ve worked and exactly how long your work requirements are for your age. You can challenge these findings. You must verify your inability to work through proper medical evidence. How do you apply for SSD? While the benefits may be an incredible help to you and your family, you must first apply for these benefits. While it should be an easy process, it’s not. 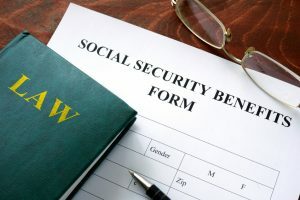 In fact, filing for Social Security Disability (SSD) benefits can be an incredibly challenging, frustrating experience. Our firm has experience helping disabled people get all the documents they need, all the work history evidence they need and all the medical evidence they need to make their best case. We work with medical doctors and vocational experts when required. What is the SSD process? Applicants can file for SSD directly with the Social Security Administration or through the help of an experienced SSD law firm like ours. About 60% of initial applications are disapproved. If an application is denied, there are appeal avenues which our law firm can help you pursue. Social Security Disability (SSD) provides support to those who can no longer work because of an accident or serious illness. You and your family may be eligible for SSD benefits based on your financial need if you have paid Social Security taxes and worked for long enough. It is important that you qualify and prove that you are entitled to these benefits and having the right legal support is imperative. All too often, people who have injuries or illnesses that render them unable to work have their Social Security Disability claims denied. The U.S. Social Security Administration denies about 60% of the Social Security Disability (SSD) applications it receives each year. In many cases, claims are denied because forms weren’t filled out properly or disabilities haven’t been documented correctly by medical professionals. If you are dealing with a disability and need help applying for SSD benefits, or in appealing a denial of your SSD benefits application, our law firm is prepared to help you through every stage of this confusing federal application process. At Tomes & Hanratty, P.C., we fight for disabled people to get the SSD benefits they are entitled to by federal law. We offer free initial consultations so that clients can consult with our New Jersey social security disability and New Jersey disability claims lawyers. Even if you cannot travel to our offices, we are here to help you. We are happy to talk with you at a place most convenient for you, including your home. If you need out legal support, please contact us today.